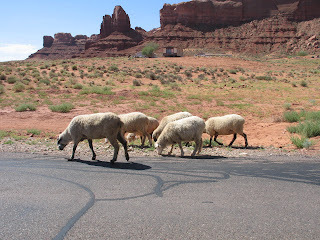 This herd of sheep crossed the road while we were driving from Farmington, NM to Monument Valley, UT. 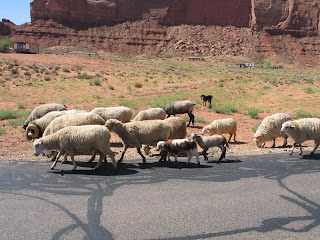 The dogs were herding the sheep and keeping an eye on them. Sometimes the dogs were their only companions. 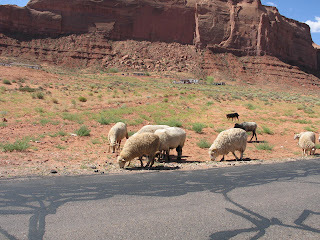 Other times, we did see people with the sheep. Can you see the babies in the upper right photo?